Data visualization and analysis is a crucial skill in many software projects. 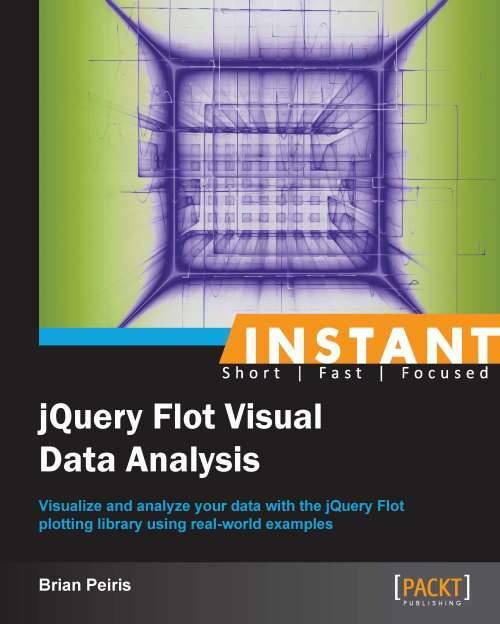 Flot uses jQuery and HTML5 to add easy and powerful visualization capabilities to any web application. Flot produces beautiful visualizations with a minimal amount of code. It is also highly configurable, extensible, and includes many plugins out of the box. A practical guide to take you through the basics of using Flot to visualize your data; the book describes Flot’s functionality in dedicated sections that include code, screenshots, and detailed explanations so that you can learn to produce charts in minutes. As you progress though this book, it will guide you through real-world examples to show you how to use statistical techniques with Flot for interactive data visualization and analysis. Starting with the very basics, you will learn exactly what you need to do to display the simplest chart using Flot. This step-by-step guide takes you through Flot’s many features and settings until you can finally master the techniques you’ll need to apply Flot to your application’s data. 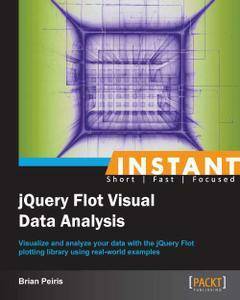 Instant jQuery Flot Visual Data Analysis will give you a head start so that you can add data visualization features to your applications with ease. Filled with practical, step-by-step instructions and clear explanations for the most important and useful tasks. A quick, instruction-based guide full of examples that details on the various aspects of Flot and how users can apply it to data groups for interactive data representation techniques.